William C. Dowling is University Distinguished Professor of English and American Literature at Rutgers University. He specializes in 18th century English literature, literature of the early American Republic, and literary theory. He is the author of Confessions of a Spoilsport: My Life and Hard Times Fighting Sports Corruption at an Old Eastern University. He recently won the 2012 Robert Maynard Hutchins Award, which is given annually by The Drake Group to someone who has shown courage in standing up for academic integrity in the face of commercialized sport. Dr. Dowling was honored for his protection of academic priority and ongoing efforts to move Rutgers to a participatory model of intercollegiate athletics. At Rutgers, he was instrumental in creating the “Rutgers 1000,” a consortium of faculty, staff, alumni, students, and others designed to encourage Rutgers to leave the NCAA Division I-A level of competition. Prior to his time at Rutgers, Dowling was a professor at the University of New Mexico. 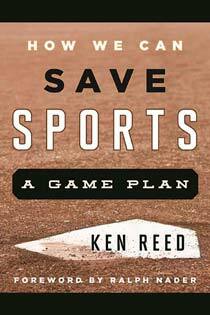 KR: Dr. Dowling, what initially spurred your activism against big-time commercialized sports? WD: I’d attended schools where sports were played just by regular students who went out for the team, and I was entirely innocent about “sports factory” schools where semi-pro players were recruited and passed off as “college students” to keep a basketball or football franchise going. My awakening came when the University of New Mexico (UNM) basketball coach, Norm Ellenberger, went on trial for having forged academic transcripts to keep his players “academically eligible.” UNM was, at that point, ranked number seven in the nation in basketball, and when the forgery came to light it opened up a full investigation that showed that virtually no athlete playing for UNM was a real student. There were players whose eligibility had been created through “correspondence courses” they’d never heard of, through summer courses they never attended, and much more. Still, all that is merely a standard story about sports corruption. Everyone knows this goes on in all major programs, and nobody really cares. My revelation came when a faculty committee I served on gave me access to statistical records that showed that UNM was going downhill academically in direct proportion to the rise of Ellenberger’s basketball rankings. Bright students from the state were simply deciding to go out of state for an education — not to Harvard or Yale, but to other state universities where they thought they’d get a better education. The students that UNM then had to accept to fill seats in the classrooms were rock-bottom; perhaps 80-90% unprepared to do anything like college work. The university was turning into a glorified junior high school, all the faculty who could get out were doing so, and Ellenberger’s basketball program — including “the Pit,” a huge indoor arena built to showcase basketball — was directly related. That’s when I discovered the principle that disturbed me when I saw the same thing beginning to happen at Rutgers, where the move into “big time” athletics was brand new. For a hundred years, Rutgers was simply an old eastern university that played against the schools that today make up the Patriot and Ivy Leagues, “participatory athletics” as it’s sometimes called. I thought there was a chance to stop the Sports Juggernaut in its tracks at Rutgers. As Confessions of a Spoilsport recounts, we came within an ace of succeeding: ending “athletic scholarships,” getting Rutgers out of the sordid “Big East” conference that a group of boosters on the Board of Governors had gotten us into, and returning to participatory athletics. KR: Many people view you as “anti-athletics.” Would you describe yourself that way? WD: I wouldn’t mind being called anti-athletics if I were. 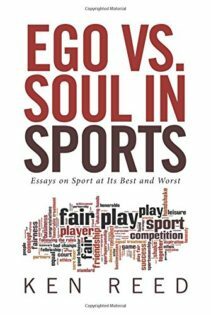 But I was an athlete myself — varsity letters in three sports in high school, soccer for a year in college, before my knee got injured — and I happen to believe that sports have a real role to play in a college or university considered as an intellectual community. They’re a part of the college experience, as much as theater, orchestra, the literary magazine, and all the other extracurricular things that have traditionally been part of college life. I disagree with that. Part of the sickness of commercialized sports in America is that anyone who thinks (as I do) that big time commercialized sports is a cancer on higher education in America has to go around pointing out that they played sports, or watch sports on TV, or read the sports page first thing in the paper every day, to show that they’re “ordinary folks” who aren’t trying to prove some kind of intellectual or cultural superiority to the types who spend their lives watching Monday Night Football and betting on “March Madness” games. I think it ought to be the other way around. Instead of my having to prove to Joe Six Pack that I’m a regular American because I know who beat whom in “March Madness” yesterday, Joe should show me that he knows a little bit about the role of higher education in American society. 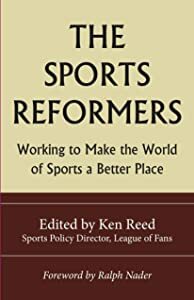 KR: Why haven’t more college faculty members at NCAA Division I-A institutions stood up against the commercialized spectator sports machine on their campuses? WD: I found out a lot about this when Linda Bensel-Meyers was being pilloried at the University of Tennessee for having brought to light an operation through which football players were having their grades doctored to keep them eligible. As part of a group of national anti-sports corruption activists supporting Linda, I wound up corresponding with quite a few UT faculty, most of whom disliked what the football franchise had done to their university, but none of whom was willing to speak up. Here’s why faculty are supine. In any state university — and the heart of the Sports Machine in higher education is places like Alabama and Tennessee and Kentucky and other public schools — every single faculty member who gets tenure comes to a fork in the road once he or she has seen what commercialized athletics is doing to the university. He or she can (1) try to mount some kind of on-campus opposition to the football or basketball franchise, which means coming up against an entrenched booster subculture and an administration that is already serving its interests; or (2) go to a school where the students are better, the faculty is more distinguished, and sports are played at the “participatory” level. Think about it for a second. Which would you do? Well, if you’re a good teacher and a distinguished scholar, you’re going to make up your mind in ten seconds. Stuck at Alabama? Stuck at Tennessee? Stuck at the University of New Mexico. Hate having to go to work at a place where nobody gives a damn about literature or philosophy or physics, but everybody knows the name of the football coach? Leave. Go, if possible, to Harvard or Yale or Swarthmore or the University of Chicago or NYU, but, failing that, look for a good liberal arts college or a school like Tufts or Emory, where students, faculty, and administration share an active interest in the life of the mind. But suppose that (2) is closed to you as an option. You’ve got tenure here at Sargasso State University, but you know that no “better” institution would look at you, given your record as a scholar and teacher. Then what do you do? One thing is clear. What you don’t do is (1). You’re going to be stuck here at Sargasso State for the next twenty or thirty years, and you know perfectly well that anyone who makes a peep about Coach Trog and his football franchise, or Coach Grog and his basketball franchise, is going to get death threats from boosters — this happened to Linda Bensel-Meyers at Tennessee, and to me even at Rutgers, which has a less entrenched booster subculture and much better faculty and students — and the administration is going to make things hard for you because the president is a puppet of the local boosters’ club and thinks you’re a “troublemaker.” So you hunker down, shut your mouth, and serve out your life sentence. KR: Why do you think so many university administrators, who appear to be intelligent and rational in areas outside athletics, continue to sell out academic values in the quest to have a thriving sports entertainment enterprise on campus? WD: You’re being far too kind in assuming that university administrators are, by and large “intelligent and rational.” They’re mostly retreads who gravitate from institution to institution precisely because they’ve established a record of non-opposition to commercialized athletics. This is an area of higher education that most people on the outside never hear about. My own university is going through a presidential search right now, and from the results so far it’s evident that we’re in a period when the presidency is a job that nobody wants. Correction: a job that nobody you’d want to be president of your university wants. A lot of this has nothing to do with sports. Being a university president these days is pretty thankless, mostly consisting of crisis management and fundraising. It used to be that presidents had real power — the story of how Charles William Eliot built Harvard from being a local school to a national institution is a textbook example of how such power was once wielded — but now, in a general climate of litigiousness, with the education system overgrown and catering to millions of “remedial” students who haven’t taken the trouble to get ready for college work, a dispirited and largely hopeless faculty, it’s just something that nobody with real talent and intelligence wants to do. So you get an endless parade of faceless bureaucrats who circulate from school to school. It’s something like big league baseball managers, in short, who circulate in something of the same way. Then, in the rare cases where the president’s office is occupied by someone you might want as president, the booster pressure becomes intolerable when push comes to shove. Example: Father Edward Malloy at Notre Dame resigned when football coach Ty Willingham was fired at the behest of booster trustees because “he wasn’t winning enough games.” He said publicly that he was “ashamed of his university,” but the “Chair of the Board of Boosters” won the day. The real power at schools like Notre Dame doesn’t lie in the president’s office. KR: One trend in NCAA Division I-A athletic departments is the dropping of so-called “minor sports” in favor of boosting budgets for spectator sports like football and men’s basketball. What are your thoughts on this development? WD: It’s an obscenity. At Rutgers, which has a hundred-year history of crew rivalry against other eastern schools — Yale, Dartmouth, Columbia, Harvard, Cornell, Princeton, Penn, Georgetown, etc — they cut crew to provide more money for the football franchise. Since a lot of the crew kids took classes with me — I’m known as a “hard” teacher, so this was a courageous move on their part — that one hit me pretty hard. The obscenity part, of course, is that the sports they cut were the ones played by some of the brightest kids on campus: real college students taking real college courses for a real education. You don’t see a lot of that over in the football and basketball locker rooms. KR: Do you see any scenario in which big-time sports institutions will transition from a spectator model of sports to a participatory model? WD: I don’t. I do see a scenario where sports factories get worse and worse. (It’s happening right now at Rutgers. The bright kids in New Jersey are leaving for schools elsewhere at a tremendous rate.) Places like Ohio State, Nebraska, etc., more or less openly drop the pretense of being anything more than glorified community colleges and the absurd pretence that they’re institutions of higher learning is quietly put to rest. But this worries me, because there are bright kids in every state who deserve a real education, whose families don’t have a lot of money, and who simply can’t afford to go off to Tufts or Middlebury or Bowdoin and are stuck watching their drunken classmates turning over cars and setting fires in Columbus, Ohio. I have two scenarios, either of which, if I could push a button and make them come true, I’d go for in a second. 1) The relationship between Div I-A universities and their sports franchises is severed. Everything else remains the same. That is, the Nebraska Cornhuskers stop pretending to be a “college team” and become a separate franchise, on the model of the New England Patriots or the Dallas Cowboys. They get to keep the stadium. The coaches remain. The marketing operation stays the same. Players are recruited just the way they are now. The only difference is that the players never have to set foot on the campus of the university. This would solve a lot of problems. Right now, anybody giving money to the “University of Nebraska Cornhuskers” gets a tax break for giving to a non-profit organization. That doesn’t happen if you try to give money to, say, the New York Jets. It shouldn’t happen when people give money to Div I-A athletics programs. The effect is to redirect gifts from the university — a place where people are ostensibly involved in teaching and learning — to the weight rooms and recruiting lounges of the franchise. But this wouldn’t work. As I’ve pointed out in several publications, the great unmentioned rationale of college sports is to give millions of people who detest genuine education a way of exercising what I call “symbolic ownership” of the university. And severing the relationship between the university and the franchise would dissolve this bond. You couldn’t be in an airport in your Cornhusker baseball hat and have somebody across the way yell “Go Cornhuskers!” and feel as though you, too, were important. 2) My second scenario is simpler. You’ve got a kid growing up in Nebraska or Alabama or Ohio who has read his or her way through the local library, loves reading and thinking and talking to people who value those things, comes out of the SATs with a 780 Verbal and a 710 Math, and is ready to go to college. Problem is, the father of the family is a custodian who doesn’t make much money, and Mom stays at home raising a large family. So, the kid is going to have to go to Nebraska or Alabama or Ohio State: a terrible fate, since it means spending four years surrounded by adolescents who openly go around saying they “hate school” and who are there mainly to party. In this case, I think the state has a moral obligation to send such kids to schools out of state where they will have professors and classmates who share their own sense of excitement about literature and philosophy and chemistry and the rest. Every state with a Div I-A football franchise should provide students who score at a certain level on the SAT or ACT with vouchers that will pay their way at a “real” college or university, while their high school classmates go to Sargasso State to paint their faces before football games. One great curse of commercialized college sports is that it discriminates terribly against an invisible class of victims: very bright kids from less-than-wealthy families who are forced to go to substandard institutions run by the local boosters. KR: When it comes to highly commercialized college sports, things seem to be getting worse, not better, witness the recent conference realignment money grab for more television dollars. Do you have any hope left that academic values will once again take precedence over commercial sports values at our largest institutions of higher education? WD: Well, keep your eye on Rutgers. You asked about the passiveness of faculty members at sports factory schools — everyone asks that question — but at Rutgers the foundations laid by Rutgers 1000, and related groups such as the SOS Coalition and FAR (the Faculty Alliance for Rutgers), have aroused serious alumni, faculty, and student opposition to the way the academic and intellectual values of the university are being prostituted to commercialized Div IA sports. Example: at the last meeting of the faculty council at Rutgers, faculty members voted 174-3 to demand an end to funding the athletics program out of general university funds, plus an undergraduate referendum on student fees — $7 million a year — being used to subsidize the football team. No other Div IA university in the country has shown that kind of principled faculty opposition to the sports juggernaut. Opposition to commercialized sports has also allowed us, so far, to apply pressure that has disposed of two presidents, a powerful athletics director who did incalculable harm to academic and intellectual values at Rutgers, and, most recently, a football coach who had the entire booster subculture of the state in his thrall. The pressure applied in these case is all directly continuous with the Rutgers 1000 movement — the same forces under slightly different names. If we can pull Rutgers back from the brink — i.e., get out of the “Big East,” abolish “athletic scholarships,” and resume playing at the participatory level — I don’t think it’s too much to suppose that other institutions might get ideas about what could be done. Remember the Berlin Wall. It was to be there forever. No cracks. No weakening on the part either of the Soviet Union or the DDR. On the other side, life as grey and ugly and hopeless as ever. Then, one day, down it came.